Linden Lab have blogged about a mixed reality performance due to take place in San Francisco on Wednesday August 20th. Avant Garden is a combination of avant-garde and walled garden, and refers to the challenge presented in offering virtual reality theater to a physical audience. Avant Garden is an experiment in doing exactly that: sharing virtual theater with a live audience. So if you are in San Francisco and fancy an evening out, what not pop along? For those unable to attend, and while this is a live event at the theatre, the Lab’s blog post hints there might be performances specifically for in-world audiences in the future. The folks at High Fidelity has been blogging a lot lately. I covered recent moves with improvements to the avatar facial expressions and synch the mouth / lips to better reflect their movements as we speak (and sing! ), and one of the more recent blog posts is something of a follow-up to this, with members of the Hi Fi team having a little fun. It’s fair to say that if they keep things up, Emily and Ozan and (I think that’s) Andrew on backing vocals could find themselves in-demand for gigs virtual and otherwise! Anyway, we’ll get to that in a moment. The other two posts are focused on Philip’s favourite subject: reducing latency, particularly where sound is concerned. As the oldest of the posts Measuring the Speed of Sound, from August 13th, reducing latency is something of an obssession at High Fidelity, and the post talks about various experiments in trying to reduce audio latency. I’m still not convinced on Philip’s big downer on voice communications over mobile devices, where he’s in the past referred to the 500 msec delay as a “barrier” to communications; I’ve yet to find it silting conversations. That said, I can see his point in ensuring that audio and video remain synched when it comes to direct interaction, particularly given the nature of what High Fidelity are trying to achieve with the likes of facial and gesture capture to achieve a greater sense of presence. Within the post, Philip discusses the most recent work HiFi have been carrying out in comparing various mediums and how they handle audio and audio latency. However, it is with High Fidelity’s AKA covers Easy, which sits sandwiched between Measuring and Paloma which offers the most fun, as well as demonstrating some intriguing elements of HiFi’s capabilities. The post actually takes the form of another music video (and embedded below) in which Emily, with Ozan on guitar and I think (and I see Ciaran Laval is of the same mindset as me) Andrew Meadows (himself aka – or at least previously aka – Andrew Linden) providing the backing vocals. Together they’ve formed HiFi’s own band, AKA (as in Also Known As), a name chosen because, as Emily explains, it allows them to be anyone they want to be. Chris Collins and Ryan Karpf are also on hand, although they don’t participate in the song. The video this time is a cover of the Commodore’s Easy. We’re promised a deeper explanation of some of the technicalities behind it from “Executive Producer” Ryan at a later date. What is great about the video is that it is totally informal (witness the start, and keep running right until the end when you watch it). The video is worth watching for the way Emily’s avatar clearly reflects her emotional response to the lyrics, and for the way Ozan’s avatar appears to be playing his guitar, rather than simply strumming it one-handed, as we’re perhaps used to seeing with avatars; his response to the music is also clear. I assume this has been done by some form of motion capture via whatever camera system he is using, but we’ll have to wait for Ryan’s follow-up to know more. There are other great delights in the video – Andrew’s surfacing from the pond waters to give the backing “ahs” had me snorting coffee; they are delightfully surreal. 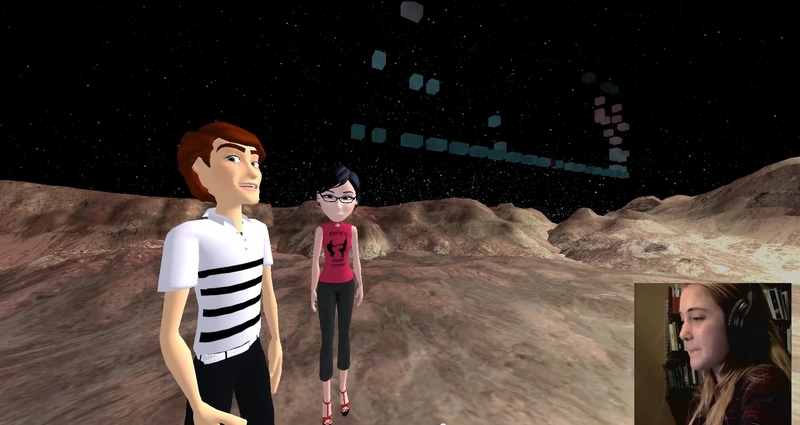 I have to say that Chris Collin’s avatar looks somewhat blissed out (aka a little stoned – no offence, Chris! ), an impression heightened with the cutaway to Emily’s look on his comment about feeling very cool and relaxed prior to the song starting! All told, the video is an absolute delight, and also reveals some interesting little elements within HiFi (witness Ryan’s enthusiastic hand-clapping at the end). 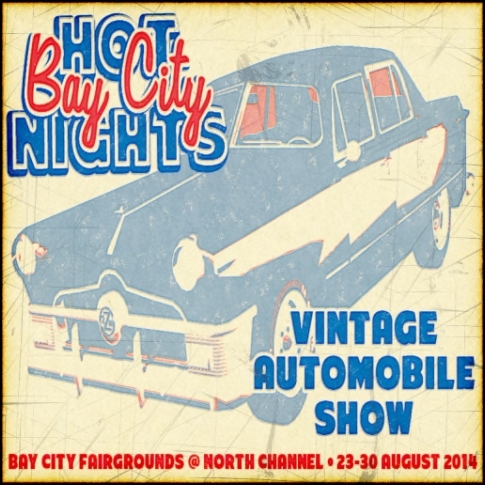 The third annual Hot Bay City Nights celebrations have been announced, and the Bay City community is already gearing-up and getting ready to roll in a celebration of Bay City’s mid-century theme as well as its large network of roads. The event, scheduled to take place between Saturday, August 23rd and Saturday August 30th will showcase vehicle makers who create automobiles from the Bay City theme era, which encompasses the period 1940 through 1965. Throughout the event, established vintage automobile designers will be found at the Bay City Fairgrounds, in the North Channel region, offering the best in vintage and retro vehicles for all Second Life avatars. Additional events will provide plenty for all to do, including the crowning of 2014’s Miss Bay City. There will also be a number of charity car washes; as with previous years, proceeds from fundraising activities will be donated to Child’s Play, a charity that provides toys and games for children in hospitals around the world. For more information, contact Marianne McCann in-world. Bay City is a mainland community, developed by Linden Lab and home to the Bay City Alliance. The Bay City Alliance was founded in 2008 to promote the Bay City regions of Second Life and provide a venue for Bay City Residents and other interested parties to socialize and network. It is now the largest Bay city group, and home to most Residents of Bay City.